Last week would have been Shakespeare’s 451st birthday, had he been as immortal as his work. Some would have it that you might need to have lived that long to have garnered the experience, the wisdom, and even to have had the time (or sufficient typing monkeys) to have been both so prolific and profound. 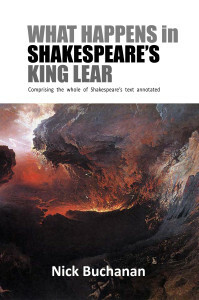 In the latest podcast from The Eternities, Nick Buchanan, author of What Happens in Shakespeare’s King Lear, explains why he believes it entirely possible that this one remarkable man could indeed have been the sole author.